Fright-Rags wants to believe. 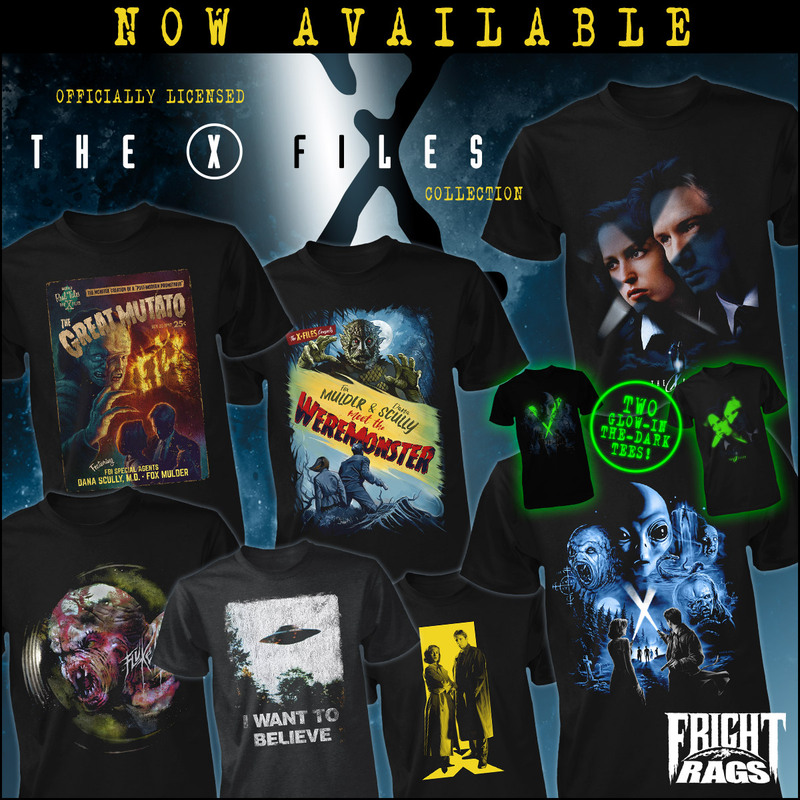 The horror apparel company has launched a collection of The X-Files tees that's out of this world, along with new merchandise celebrating The Last Drive-In with Joe Bob Briggs. Special Agents Mulder and Scully can uncover the truth with Fright-Rags' The X-Files collection. It features seven new shirts, including two that glow "alien green" in the dark and three dedicated to a trio of the series' most memorable episodes. 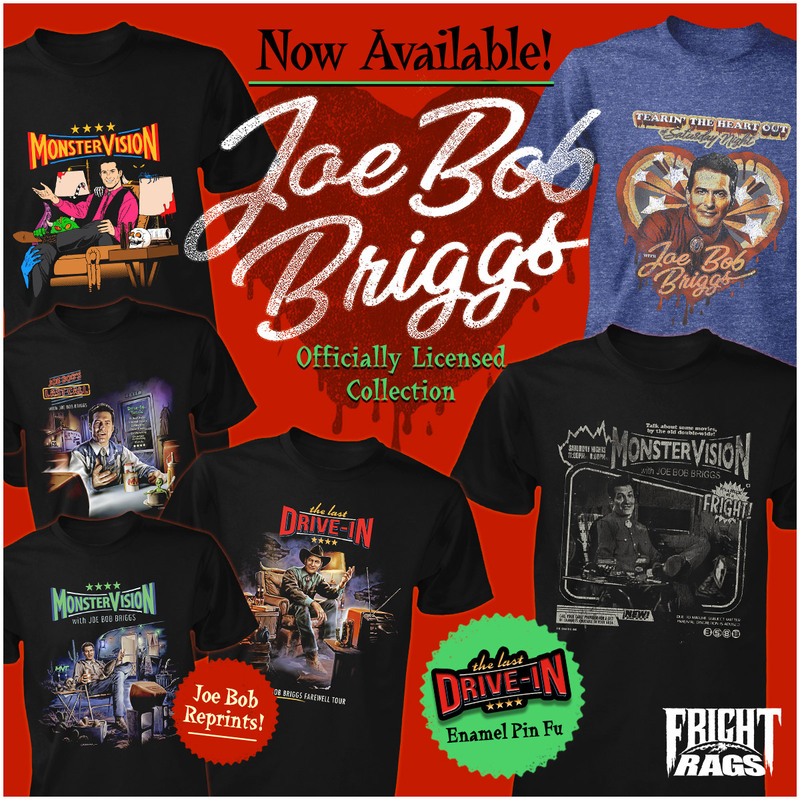 Fright-Rags commemorates Joe Bob Briggs' return to weekly programming on Shudder's The Last Drive-In with three new shirts celebrating the beloved horror host's classic MonsterVision work, a Last Drive-In enamel pin, plus reprints of three previous Joe Bob designs. By popular demand, the all-new artwork for The Last Drive-In with Joe Bob Briggs will also be available shirts this Friday, March 29. The X-Files and Joe Bob Briggs collections are on sale now at Fright-Rags.com.